Showing Products 1 to 21 of 152 Products. 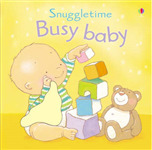 Features colourful illustrations that may appeal to babies and very young children.  This title lets them follow Bob the frog as he hops across the pages in search of his friend, Fifi. 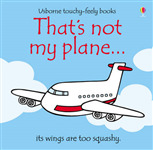 Part of the touchy-feely series, this title helps very young children to enjoy the bright and colourful illustrations while the different texture patches help them develop sensory awareness. 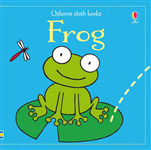 Including bright scenes of happy frogs swimming, croaking, jumping and splashing, this book is suitable for babies wherever they are, not only in the bath. Combines illustrations with a variety of different textures to touch and feel on each page. 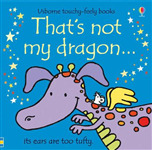 This book helps very young children develop language and sensory skills. A tabbed board book that features the words of six seasonal lullabies that are guaranteed to induce a peaceful slumber, including "Away in a Manger", "I Saw Three Ships" and "In the Bleak Midwinter". Even tiny babies will enjoy looking at the brilliantly coloured illustrations in this very first book. The peach-skin soft cloth is perfect for little hands to grasp and the surprise sound that comes from the crackly foil sewn inside the book will delight babies. 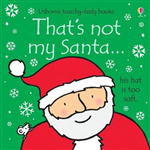 A wonderful new edition of this luxury touchy-feely book, perfect for little hands. 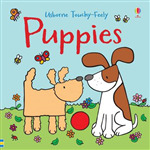 Babies and toddlers will enjoy turning the pages and seeing all the cuddly puppies, each with touchy-feely patches and textures that will encourage children to engage with the book. A super-big book with an astonishing number of mouthwatering activities which will provides weeks - no, make that months - of entertainment! Pictures and patterns to complete, scenes to fill with colour, inspiration for drawings, details to doodle and endless ideas to unleash creativity. A sticker book that encourages children to fill in the spooky scenes using the colorful stickers provided. It features scary scenes including trick or treating, a haunted house, a ghost ship and a monster garden. A Summer-themed activity book. Suitable for young children only just getting to grips with art and craft projects, it presents simple activities for parents or carers to share with young children and helps to develop important skills such as hand control, coordination and concentration.